Collector runs the NCover Service, which does the code profiling, but projects cannot be created or modified in Collector, and are pushed down from Code Central in a read-only view. Each Collector is connected to the Code Central server. After Collector gathers coverage on a locally-running executable or unit test, it automatically sends the coverage data to Code Central, where it can be fully analyzed. NCover Collector, when connected to Code Central, allows QA teams to quickly and effortlessly collect code coverage and provide feedback to managers and team leads. By integrating NCover into the quality assurance process, development and QA can work together to improve overall code health. For large projects and large teams, configuration settings allow managers to focus on specific sections of code and consolidate multiple executions. NCover snapshot feature is useful for monitoring the progress of long-running executions. NCover enables the collection of coverage data on Windows Store Apps through the use of pre-instrumentation. 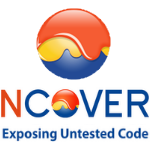 NCover Collector is installed locally and accessed by launching the Collector browser after installation is complete.